Attorney Jason Schellack answers questions about planning for the future for children with disabilities. Welcome to our Ask the Expert series, in which our panel of health, justice, and education experts answer your questions related to Fetal Alcohol Spectrum Disorders (FASD). Here, attorney Jason Schellack explores when guardianship is appropriate and planning for the future for children with disabilities. Got a question of your own? Email ruth@mofas.org. 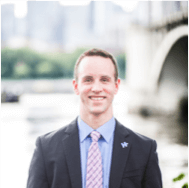 About the Expert: Jason is the Executive Director of the Autism Advocacy & Law Center, LLC. Jason focuses his practice on family law, special education law, guardianship, criminal defense, and juvenile delinquency. Prior to working at the Autism Advocacy & Law Center, LLC, he was an attorney with the State Public Defenders Office. As a public defender, he represented hundreds of clients in criminal, juvenile delinquency and child protection cases. Prior to law school, he worked with youth with special needs as a Program Director for Courage Center Camps and as a Personal Care Attendant. He received his law degree from William Mitchell College of Law in 2010. While in law school, he was a Student Attorney with the Legal Assistance to Minnesota Prisoners (LAMP) program. He received his Bachelor of Arts degree in German and Social Justice studies from Hamline University in 2004. He is also fluent in American Sign Language. When is it appropriate to pursue and end guardianship and what are some other considerations when planning for a child with an FASD or other related disabilities? Life is full of challenges when are the parent of a child with an FASD or another disability. Planning for your child’s future is critical to ensuring that their future financial and legal needs will be met. It is important to begin exploring guardianship prior to an individual’s 18th birthday. At age 18, children become emancipated, and their parents lose the ability to help them with major life decisions. In general, it is appropriate to pursue guardianship if a child is unable to make responsible personal decisions regarding education, medical care, housing, and government benefits such as SSI and Medicaid. If a guardianship is no longer needed, then either the parents or the child should file a petition asking the court to terminate the guardianship. If the court finds the adult child is now able to make responsible personal decisions regarding their own care without the assistance of a guardian, then the court will terminate the guardianship. When planning for the future, it is important to consider whether guardianship is appropriate and whether the individual will require the assistance of the government programs SSI and Medicaid. If the individual will need SSI or Medicaid, it is importance to consider whether a Special Needs Trust, a Supplemental Needs Trust, or an ABLE account will be helpful in managing the individual’s financial assets.